Since that fateful day, Gasperini lost his first two games in charge, won the next one, and then has managed three straight draws (with two of those being scoreless.) 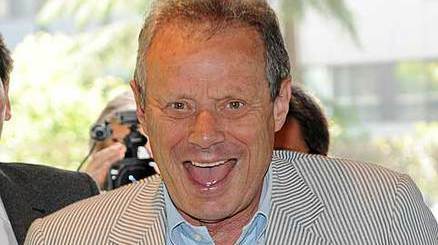 But it’s okay, because it’s not Zamparini’s job anymore to sack the coach, and I don’t know anyone else who is so trigger happy. Although I still wish that a certain Berlusconi and or Galliani were a little more trigger happy, but oh well. Maybe the trip to Palermo will give them some ideas. With such mediocre results, one would expect the boys in baby pink to be midtable, but they’re not. They currently sit in 18th, the relegation zone, after just nine matches. 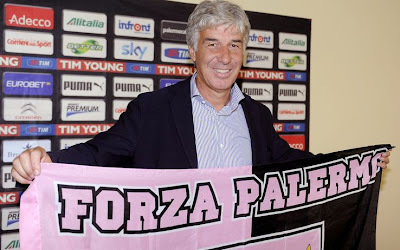 So either Gasperini is playing chicken with Zamparini, or the team really is that poor since Zamparini pulled a Garrone and sold off some of his best players like Pastore and Balzaretti. For Palermo’s Saturday snoozer vs. Siena, Gasperini fielded a squad of Ujkani; Donati, von Bergen, Muñoz; Kurtic, Barreto, Mantovani, Morganella; Miccoli, Brienza, and Ilicic. His 3-4-3 provided a very boring 0-0 draw, so he might try to spice it up a little when we come to town. Or not, it depends on how much he really is trying to taunt Zamparini. Allegri, clearly anticipating this intense matchup, has also developed his own 3-4-3 formation. But his is so much more full of win. Well, since Antonini is likely out injured, it is, anyway. I would guess a lineup something like this: Abbiati; Mexes, Bonera, Yepes; Abate, De Jong, Montolivo, Constant; Emanuelson, El Shaarawy, Pato. But that hinges on Abbiati being match fit and Allegri getting the idea through his head that there needs to be some sort of consistency in this squad. I think the former is more likely than the latter. 1) Please score (both of you is fine) and 2) Neither of you get injured, please. Remember last year when the Stadio Renzo Barbera was a fortress to be feared, where players trembled at the thought of the Pink Death? Well much of that fear left with some of their best players, but Milan must fear every opponent at this point. After all, we lost fourteen players this summer, and already had a brush with the relegation zone this season ourselves. If we are to go to the land of the crazy and bring three points back, we will have to up our game a lot more than our game vs. Genoa. Because Gasperini may be getting desperate, and a simple draw just won’t do. Likewise, Allegri must continue to prove to Galliani that he is worth his word that he’ll remain on at Milan all season long. Which means every result is an assurance and every assurance a distraction from the evil eye of Berlusconi, who has replaced him in the media several times over. Essentially, it’s like Yepes said, they must play like every match is a final. Otherwise, we’ll end up like Palermo, just Gasping for draws. Milan-Genoa Preview: Can We Wear Your Shirts? Champions League – Málaga vs. AC Milan: Game On! Lazio vs. Milan: Game On! The Prodigal Son: A Fairy Tale? Milan vs. Inter: Game On! Champions League – Zenit vs. Milan: Game On!